AW Scroggins, 85, of 17 Center Port Dr., White, GA, and formerly of Rome, GA passed away Friday, February 25, 2011, in Cartersville. Mr. Scroggins was born in Powder Springs, GA on August 5, 1925, the son of the late Arthur Wesley Scroggins and Estelle Huggins Scroggins. In addition to his parents, he was preceded in death by a daughter, Elizabeth Ann Scroggins. Mr. Scroggins owned and operated Palmetto Sash and Door Co. in Orangeburg, SC, and later Southeastern Sash and Door Co. in Cartersville. He also was a founder of the Georgia Farm Bureau Mutual Insurance Company in Macon. 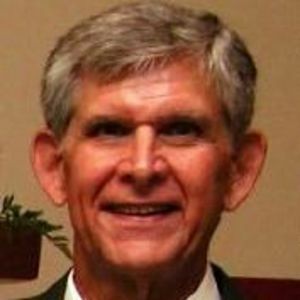 He was a former member of the First Baptist Church of Rome, the First Baptist Church of Orangeburg, where he served as chairman of the Board of Trustees, and the Pine Forest Baptist Church in Macon where he served as chairman of the Deacons. He was presently a member of the Sam Jones United Methodist Church in Cartersville. He was past president of the Orangeburg Chamber of Commerce, and a former member of the Rotary and Elks Club. He was a veteran of World War II, serving in the U. S. Marine Corps. Survivors include his wife, Frances Puckett Scroggins, to whom he was married July 22, 1945; five sons, Jimmy (Carole Jean) Scroggins, Cartersville, Mike (Blanie) Scroggins, Townsend, TN, David (Angelia) Scroggins, White, John (Rowena) Scroggins, Taylorsville, and Robert Scroggins, Canton; one daughter, Rebecca Scoggins (Tias)Schuster, Virginia Beach, VA; 13 grandchildren and three great grandchildren. Funeral services were held Monday, February 28, 2011, at 2 p.m. at the Griffin Memorial Chapel of Daniel's Funeral Home with Dr. Bill Burch and the Rev. Dee Dee Lawson officiating. Interment was in the Powder Springs Memorial Gardens, Powder Springs. Pallbearers were Dennis Puckett, Steve Puckett, Jason Scroggins and Charlie Scroggins. The family will receive friends at Daniel's Funeral Home on Monday, February 28, from 12:30 until 2 p.m. Those wishing may send memorial contributions to the Boys and Girls Club of Rome, P. O. Box 2939, Rome, GA 30164-2939 or the William S. Davies Homeless Shelter, PMB 198, 3 Central Plaza, Rome, GA 30161. Published online on February 28, 2011 courtesy of Dignity Memorial. Scroggins, Leonard James (1 Jan 1953 - 23 Feb 2011) [tba]. Scroggins, Essie L. Nangle (29 May 1914 - 22 Feb 2011) . Widow of Scroggins, Charles Louis (2 Jun 1912 - 8 Apr 1942) . Scroggins, Mary Etta (15 Feb 1926 - 10 Feb 2011) .